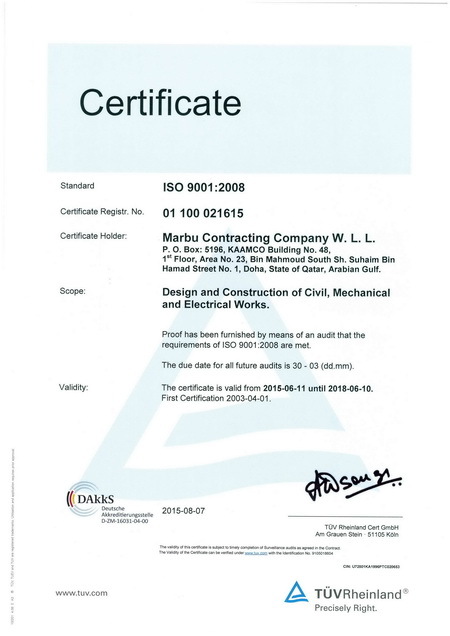 MARBU management and employees are committed to strictly follow Quality Assurance / Quality Control systems in all projects to meets and exceeds client's expectations. As a part of commitment company has certified for ISO 9001 International standard since 2002 and upgraded to the latest ISO 9001:2008 standard. Taking-up fast track projects and providing quality construction services by reducing cost and time by managing compliance to various standards, regulations, adherent with project specifications and requirements in a systematic and uniform way. Ensure you get tangible business value out of quality projects by integrating related processes with performance management to drive continual improvement. 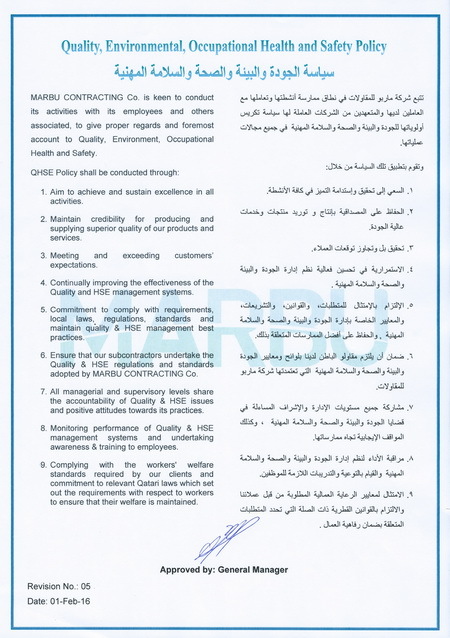 Provide employees, management, professionals as well as auditors with a single point of access to all the Quality, Environmental, Health and Safety information they need. All are made aware of their roles and responsibilities and have accountability for achieving the management objectives. Along with responsibilities, authority has been provided to execute their responsibilities effectively. System is monitored and checked suitability through regular internal and external audits.